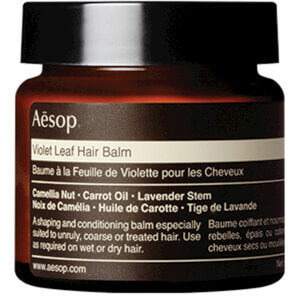 Aesop Violet Leaf Hair Balm (60ml) effectively controls hard to manage and unruly hair, gently but firmly. A refreshing change from the sticky wax or grease-based formulations of lesser quality products, Aesop Hair Balm softens and shapes even the coarsest, driest hair by easing each hair into place with a blend of natural, botanically sourced ingredients. 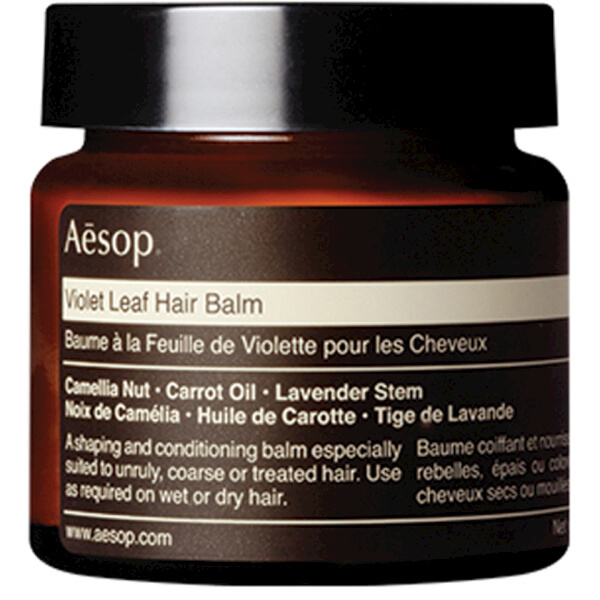 With the understated scent of violet leaf extract, Aesop Hair Balm gently freshens and deodorises hair against the ravages of today's high-speed living. A practical answer to controlling and styling layered hair, especially when growing out the layers, a little balm will help to smooth down those troublesome, hard-to-hold, flyaway lengths. The 'Violet Leaf Hair Balm' is described as a product that is designed to give volume and control over fine and or unruly hair. I had tested this product on two occasions and found varying results with concerns to this product's "success" in achieving said description. On the first go, I tried it with clean shampoo-ed and conditioned hair. The hair balm worked easily into my hair as a pre styling product, using a small fingertip's scoop, and helped achieve a lot of volume that was sustainable throughout the day. Indeed, my hair had been less tangled and was more 'manageable', but I believe that was also thanks to cocktailing with my shampoo range, also by Aesop. On the second test, I used it on second day hair that had only been cleansed by rinsing my hair out with water and no shampoo or conditioner. I found the hair balm to be resistant to application through my hair with problematic tugging and rough application, very different from my initial experience. The hair balm has shown signs of leaving my hair more moisturised, so it has worked partially as a leave in conditioner. The smell is a mix of aromas, a result of the ingredients that include certain herbs, and is quite pleasant. Overall, the product is definitely recommended, however, it does come at a slightly higher cost than other leave in conditioners or similar styling products like argan oils and hair creams. The product is not intended to give a lot of hold on its own, so for those looking for such characteristics, you would need to finish your hairstyle with other supporting styling products like hair waxes and hairsprays. As for those that are looking for sleek, less extreme hairstyles and good pre stylers, this is the product for you. I have exactly the type of hair this describes and it still doesn't tame it or Give it any kind of regular feel. It in fact mattes my hair even more. Sorry I won't be buying again. I purchased this as I needed something to add a bit of shape and texture to my hair while I am in the process of growing it out; it does just that. I haven't found any problems with the smell like others, but I would have preferred a bit more for I paid. Other than that it's a good product. Hmmm - not really sure what a balm is supposed to do? Gives your hair a nice shine and smells good, but I do not really rate it as a styling product. 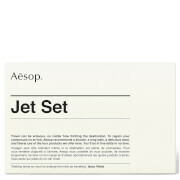 It would be nice to see Aesop produce something with a firmer hold. Smells faintly of woody violet leaf (not violets!). Holds and adds shine without being heavy or greasy. I have very dry hair and most of the other styling products makes my hair condition worse.This is product is amazing and over a period of time hair quality has impoved.Pricey but worth it. Is a lot better than gels. Gentle on the scalp and gives a great hold.